Main Story Updated! 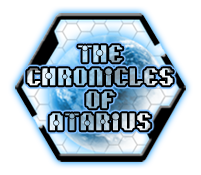 Check out the Chronicles of Atarius for the beginning of the finale of PSRPG! Per Orbis's last plea, the Master of the Forge, Ulthane, has delivered a Legendary Item to each of you. These items were hand-selected by Orbis to be willed to you. Check your character page to find out which item you were given and then click the link to find out its powers. "It will take all of you to defeat my brother." Good Luck and Happy RPing!